Following Ralph Nader's 1965 report "Unsafe At Any Speed", which highlighted the poor handling and/or crash-resistance of numerous cars sold in the US, the race was on by the car manufacturers to prove that they took the safety issue seriously, despite the old automotive adage that "safety doesn't sell". 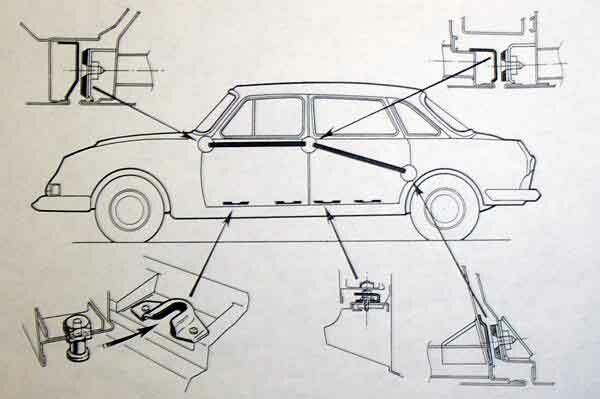 Like all other companies wishing to maintain a presence in the US market, BLMC had already been forced to react to the pending Federal Motor Vehicle Safety Standards legislation (introduced in January 1968 almost as a direct result of Nader's report) by developing revised versions of the Austin 1300 and MGB with enhanced safety features. 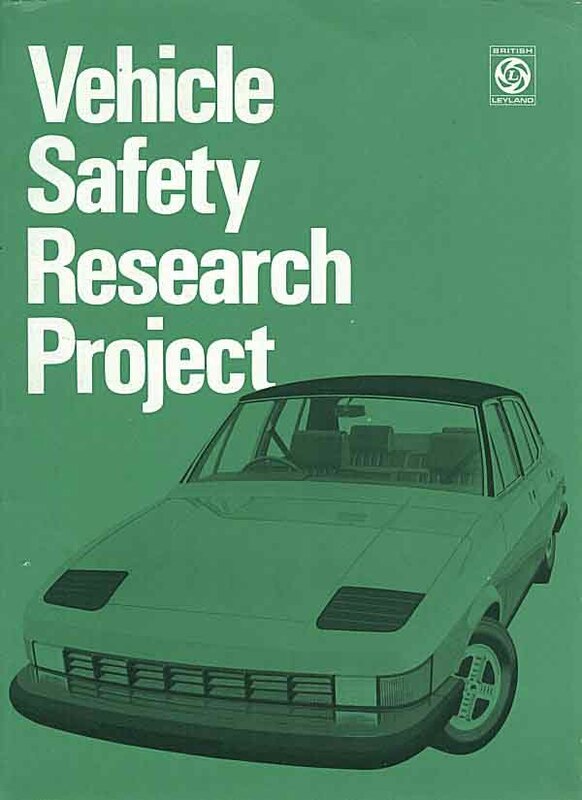 However, by the early 1970s, the company had embarked on a programme to explore the future of car safety technology, leading to the development of the Safety Systems Vehicle (SSV1) in 1972. Two years later, in collaboration with the Transport and Road Research Laboratory, a further five prototypes were developed under the Safety Research Vehicle (SRV) project. 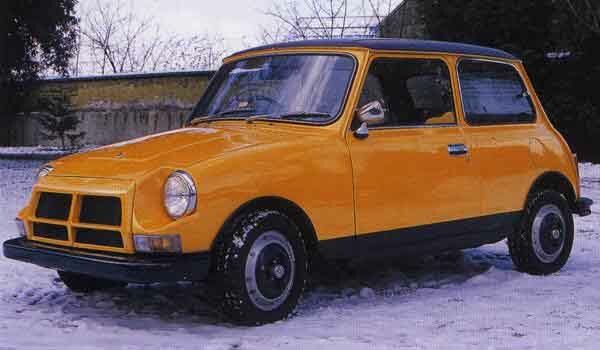 The SSV1 was prepared by the development team at Abingdon in 1972, to demonstrate that even small cars were capable of being modified for optimum safety. 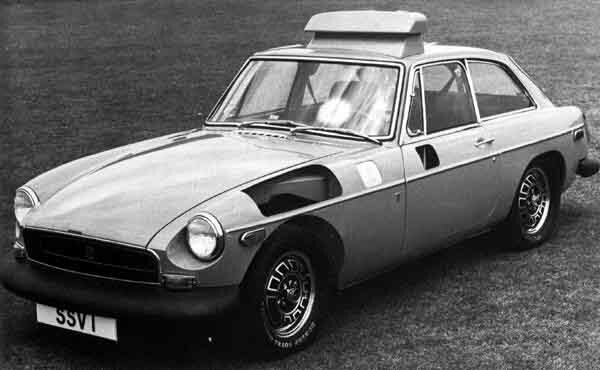 This MGB GT-based car featured a wealth of innovative features, including airbags (which worked in combination with passive seat-belts), anti-lock brakes, self-levelling suspension, impact-absorbing side-panels, and a rather curious roof-mounted rearview mirror which afforded the driver a 120-degree field of vision. Mounting the thick rubber bumpers low down brought two advantages: firstly, if the car ran into the side of another, the point of impact would more likely be in the sill area rather the more vulnerable doors; and were the car to hit a pedestrian, the low point of impact would tend to result in the unfortunate soul being lifted onto the bonnet rather than thrown forward into the car's path. 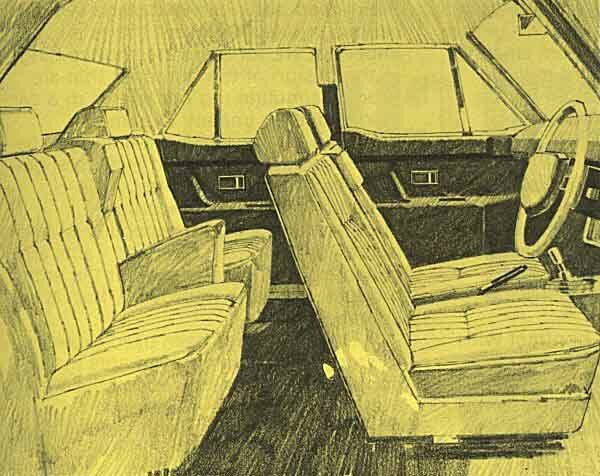 Pedestrian safety was to become a persistent feature of Leyland's future safety prototypes. The car was also equipped with a novel system designed to prevent tired, inebriated or otherwise incapacitated drivers from taking the wheel. Do you remember the electronic game called Simon, where players had to replicate a sequence of coloured lights by pressing buttons in the correct order? Well, that was precisely what the SSV1 driver would have to do in order to start the car. Get the (randomly generated) sequence wrong three times in a row, and he would have to wait an hour before being allowed to try again. 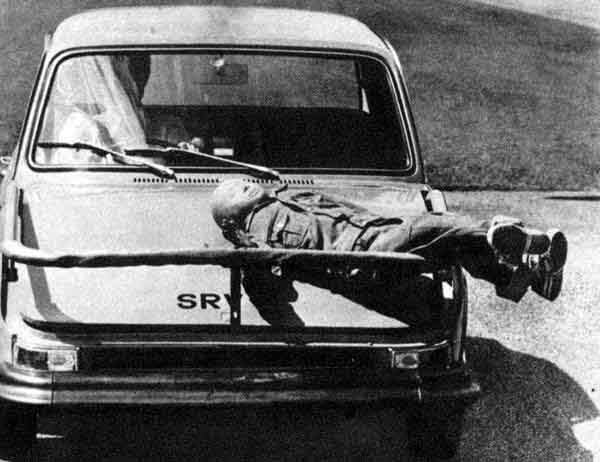 While designed primarily as a safety device, this feature also doubled as pretty effective immobiliser. 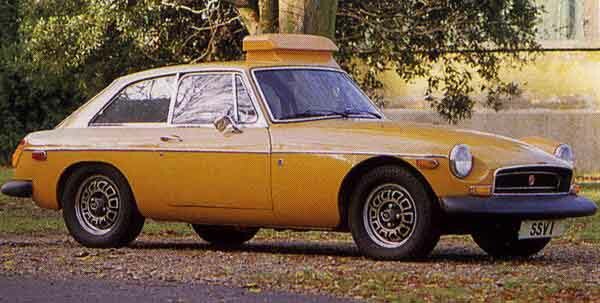 The car was presented at the third conference of the America's National Highway and Traffic Safety Administration (NHTSA) in Washington DC in 1972, but none of its innovations were ever to see the light of day on any production MG to leave the Abingdon works. The first of the five SRV prototypes prepared in 1974 was based on the 2-door Marina. 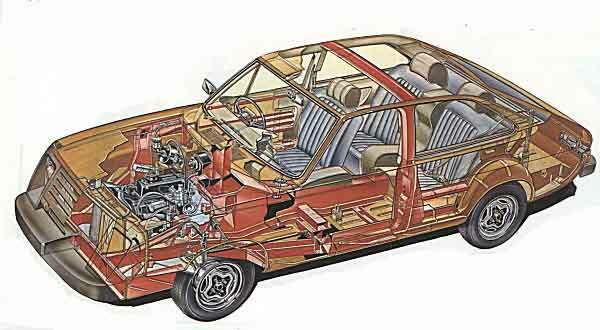 External alterations included a deformable front-end and impact-absorbing bumpers, while the interior featured font and rear head restraints and a padded barrier built into the centre of the rear seat, presumably designed to prevent its occupants knocking each other out in the event of an accident. This car was also referred to as the "ESV Marina Phase 1", ESV standing for "Experimental Safety Vehicle". The Marina-based SRV2 featured many innovative ideas with the emphasis on minimizing the consequences of frontal impacts. It was claimed that the car was capable of safely absorbing the energy of an impact at speeds up to 40mph, while its low nose featuring retractable headlamps was designed to minimise the injuries incurred by pedestrians. 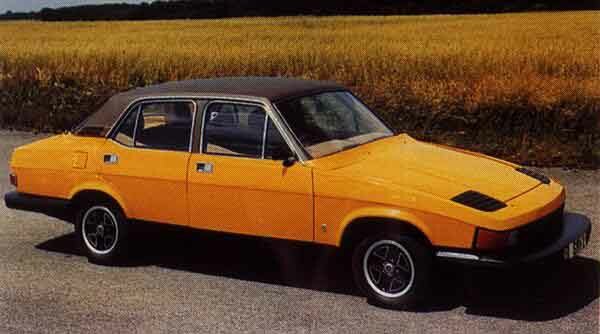 The company was also keen to point out that the lessons learnt with this car were benefiting the design of its production cars, in particular the Princess, and looking at the carefully staged photograph below, one has to accept that the similarities in frontal profile are undeniable. Of course, by 1974, the shape of the Princess had long been signed-off, so a cynic would conclude that the SRV2's front had in fact been deliberately styled in order to mimic the new car's outline. The third SRV prototype was based on the ADO17 "Landcrab", and like the other cars in the series, it featured heavily-modified frontal styling. However, the main innovation on SRV3 related to research into side impact resistance, and to this end, it featured "dove-tail" catches along the door-bottoms to prevent intrusion into the passenger compartment, and anti-collapse struts and "proximity pads" to reinforce the location of the doors within their apertures. 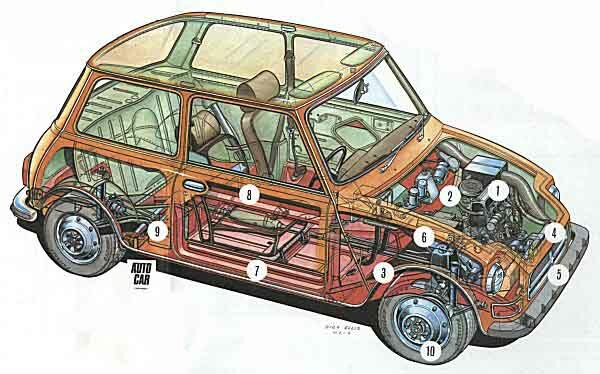 SRV4 was based on the Mini Clubman, but featured an extended wheelbase to afford a greater frontal crumple zone. Again, the front of the car was also designed to be pedestrian-friendly, being both softer and smoother than that of the standard car, while other refinements included larger-diameter wheels with run-flat Denovo tyres, strengthened door sills and recessed door handles. The safety of the car's occupants was catered for with copious padding. 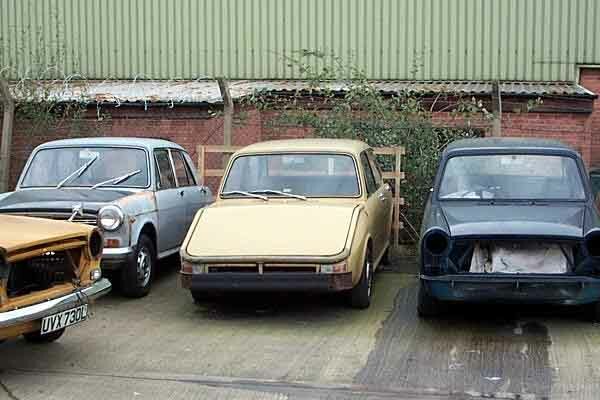 The final SRV car was based on the Austin/Morris 1300, perhaps an odd choice in view of how close the car was to the end of its production run at the time. 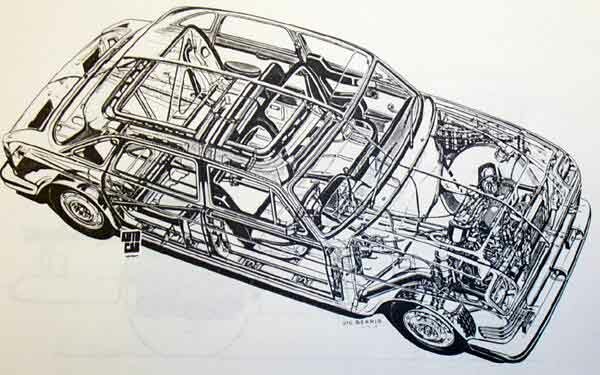 It was, nevertheless, the most adventurous of the SRV prototypes, featuring a spring-loaded (and rather thinly-padded) pedestrian-catching cage which was activated in the event of an impact. Thus, it would be raised from its dormant position atop the front bumper in order to prevent the accident victim from sliding down into the path of the car's wheels. Well, that was the theory, anyway. This unique feature is amply demonstrated in the above photograph, which also shows the car's steeply drooping nose to good effect.